When it comes to conservation, there is no one person or organization that can do it all. Everyone, from students and farmer, to non-profits and government agencies, must get involved. If the needs of everyone aren’t accounted for, conservation just won’t work. That’s why the work of organizations like The Center for Collaborative Conservation (CCC) are so important! The CCC helps develop creative conservation solutions for people and nature through collaboration. They believe that a collaborative approach can better address difficult conservation issues by representing the varied voices, needs, and challenges involved in conservation and livelihood decisions. 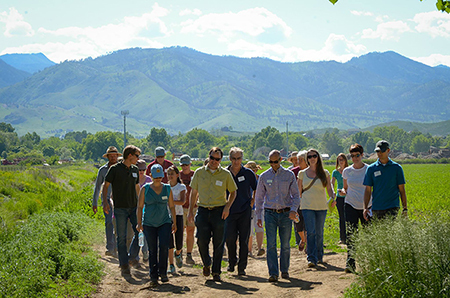 By using the resources of Colorado State University, the CCC uses a unique approach that reflects the university’s land grant mission of teaching, outreach, and research. Because the CCC is associated with the University they have the ability to train future conservationists through university coursework, support conservation practitioners in developing skills in collaboration, and investigate how and why collaboration succeeds or fails. Through their Fellows Program and a partner initiative, Peaks to People, they are expanding the reach of the CCC into communities around the world and have donw work in over 25 countries. A key player in conservation at the CCC is Heather Knight. I had the pleasure of emailing back and forth with Heather and learning about her work. She has been involved in conservation for well over 20 years. 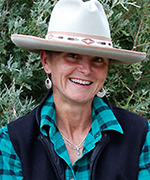 She is currently the Associate Director of the Practitioner Programs at the CCC and came to them after 22 years of work with the Nature Conservancy. Heather believes that for conservation to work, it needs to work for people and nature. She feels the best way to achieve this is to prepare conservation practitioners with a high level of collaboration skills that match the high quality of technical competency. To learn more about the Center for Collaborative Conservation and how to get involved, visit their site!